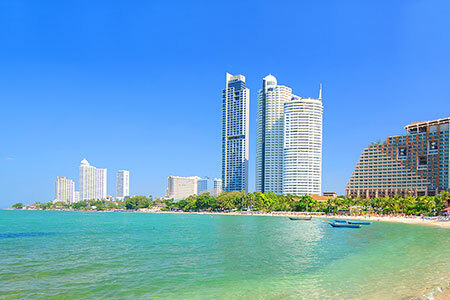 Pattaya is a beach resort with city status and has something for everyone. The year-round tropical climate, there are international hospitals, schools, shopping malls and supermarkets. There are then lots of other plus factors to attract people to the city. 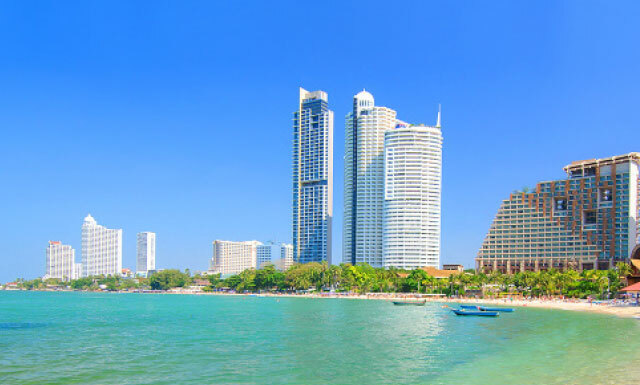 The low cost of living in Pattaya, the friendliness, warmth and hospitality of the Thai people, and this makes Pattaya City an extremely popular choice for a secondary home or retirement. You can look at initial renting in Pattaya as you will need to consider if you want to live in a house, high-rise condo or low-rise condo. There are literally dozens of things that need to be considered. When it comes to purchasing a property, there is a massive variety of houses and condominiums, in terms of size, price and quality, to choose between, which, in general terms, represent outstanding value for money, particularly when compared to the cost of real estate in the Western world. Different areas of Pattaya have different positives and negatives. What suits one person may not suit another. For some people, the priority might be being close to the action whilst for others it might be being close to the beach or somewhere quiet and relaxing. Pattaya has a wide range of options and quite literally everything is available if you look hard enough. We would always recommend familiarising yourself with different areas of the city before committing to buy. You may really like one area but another is actually better and suits your needs more. An experienced real estate broker will be able to help you with this. There are plenty of arguments for both buying and renting in Pattaya. Firstly, if you decide to rent a house or condo in Pattaya you won’t have to purchase the property. Naturally, this means that it is substantially cheaper and you haven’t got a large sum invested. Also renting in Pattaya gives you greater flexibility which is fantastic if you have just decided to live here. You can sign an initial 6 month contract during which time you can decide if you like the area and the property. If you have opted to buy a house or condo in Pattaya you have the bonus of owning an asset. You are not ‘wasting’ money on paying rent and you are free to do pretty much, within reason, what you please with your property. 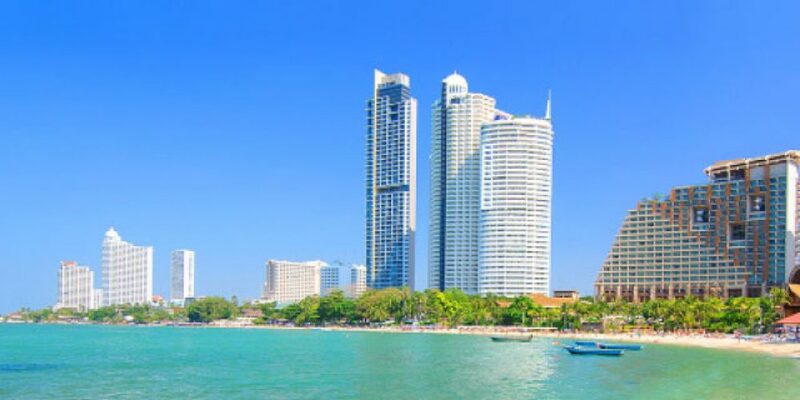 In addition, with the prospect of casinos coming to Pattaya there is massive potential for capital appreciation should you decide to sell your property. Pattaya is a city that is booming and owning property here can only be a good thing. There are some major differences when buying property in Thailand so it is advisable to take advice from a knowledgeable and trustworthy agent who can explain everything to you. Whether you decide to opt for a house or a condo in Pattaya will depend very much on personal preference. If you prefer beachfront living the chances are that you will need to select a condo as the number of houses in close proximity to the beach is minimal. Also, condos can be owned in ‘foreigner name’ whereas houses can’t so from this respect you have additional financial security. Arguably, condos are easier to manage and easier to maintain so this is another huge bonus. Houses in Pattaya are attractive to families or those that want or need more space. The majority of the more popular houses are in east Pattaya which is also far quieter than downtown Pattaya. With a house, you are also less affected by those around and you have more privacy than in a condo. That being said some neighbours may have dogs that can be a nuisance. It is always well worth checking out village prior to making a commitment. 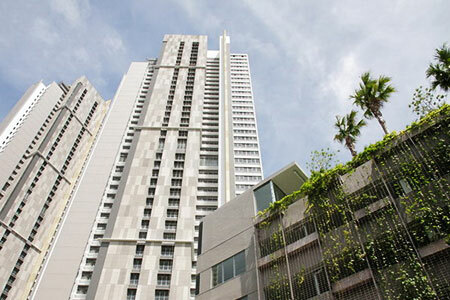 If you have decided to go for a condo in Pattaya you then need to consider if you prefer high-rise or low rise. Low-rise condos tend to be quieter due to the fact that fewer people are staying there. You also need to consider that if there were to be a power cut, something that is still quite frequent, you wouldn’t have too many steps to climb. On the downside, low-rise condos can be affected more by outside noise as you are obviously closer to the ground. High rise condos will have greater airflow the higher up you especially if you open a few windows and doors. Also, the higher up you go the fewer insects will be around – a huge bonus if you like sitting outside in the evenings. As mentioned, the external noise is less of a problem the higher up you are but the mere fact that there are more people in the building means there may be more noise in that manner.